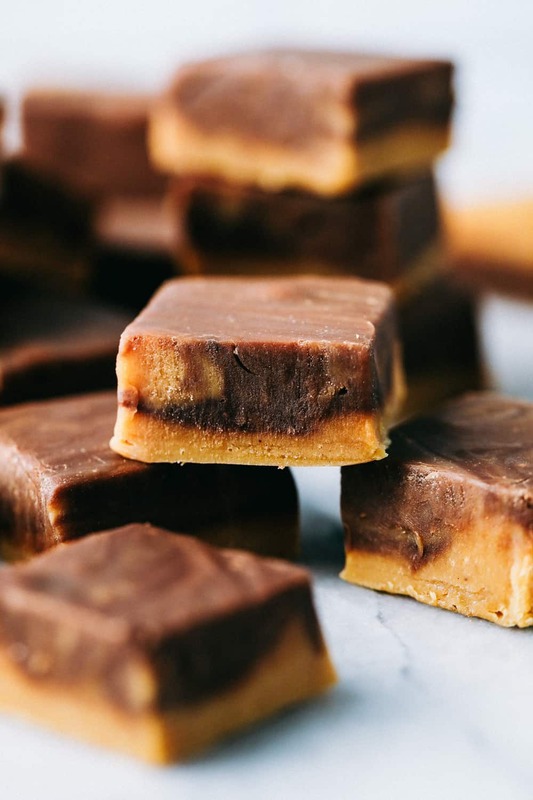 Peanut Butter Chocolate Fudge is an awesome take on the best dynamic duo out there! You cant go wrong with Peanut Butter and Chocolate! Fudge is perfect this time of year! We also love to make this Reese’s Fudge, Fantasy Fudge, and Cookies and Cream Fudge are just a few of our favorites! Peanut butter and chocolate is my favorite combination. Which is why it also explains my obsession for these Peanut Butter Bars. There is just something about the two flavors that combine to make something incredible and delicious. This fudge instantly became a personal favorite. I love the peanut butter and chocolate that is swirled together. This fudge brings you the best of both worlds and is creamy, delicious and SO easy to make! In a saucepan over low heat melt the peanut butter chips with one cup sweetened condensed milk. In a small saucepan over low heat, melt chocolate chips with remaining sweet and condensed milk. Remove from heat, add vanilla and stir until smooth. 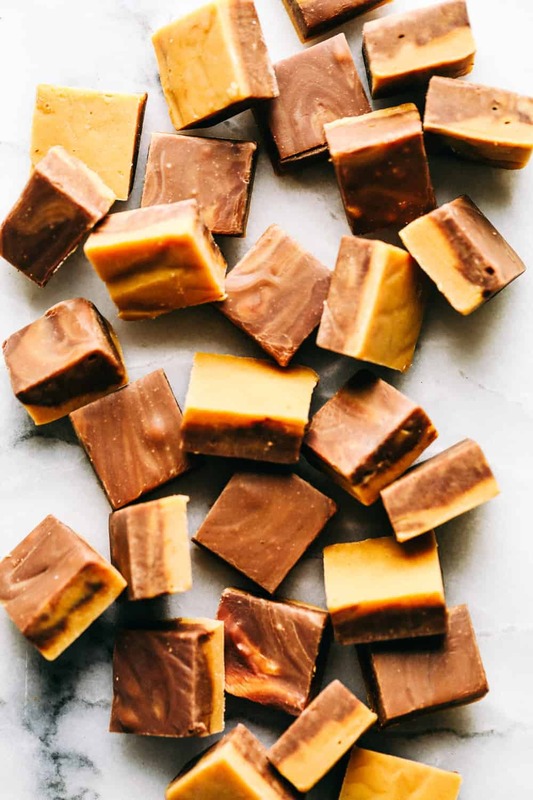 The most effective way I have found to keep my fudge soft, is by individually wrapping the pieces of fudge with wax paper, and storing them in an air tight container. DO I NEED A THERMOMETER FOR THIS FUDGE? 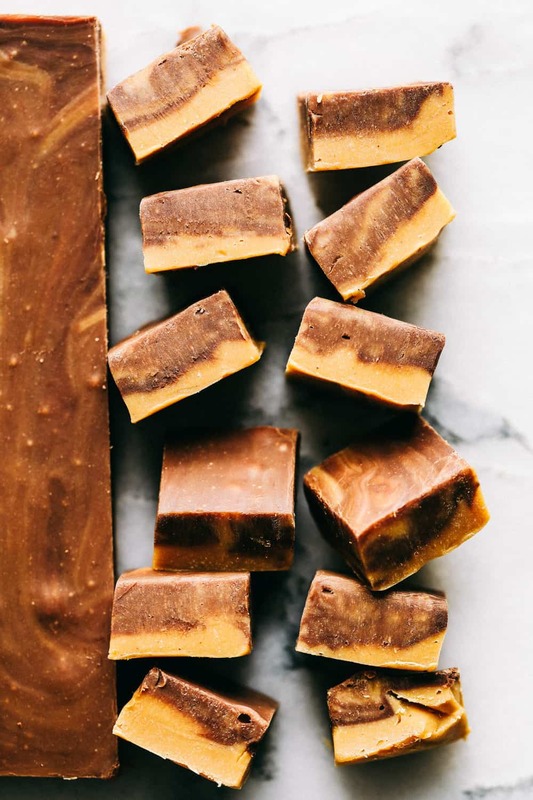 You can make this fudge without a thermometer. You bring the mixture to a full rolling boil stirring constantly for four minutes. However you can use a thermometer if you would like and cook it until it reaches 234 degrees. 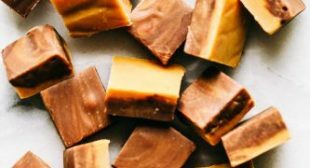 LOOKING FOR MORE DELICIOUS FUDGE RECIPES? HERE YOU GO!